Monitoring rotation of piers, piles, and retaining walls. 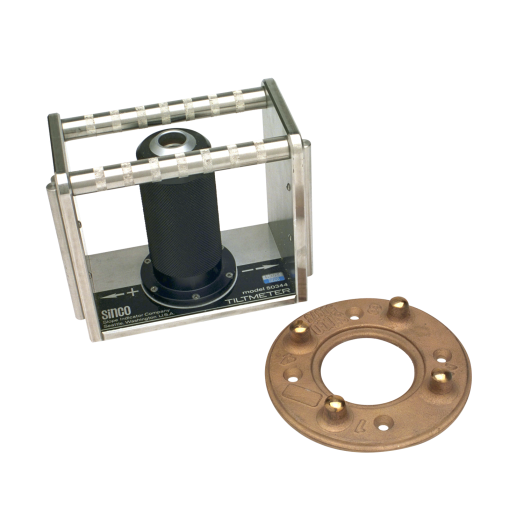 The MEMS Deep-Water Tiltmeter consists of a MEMS tilt sensor housed in a brass enclosure. 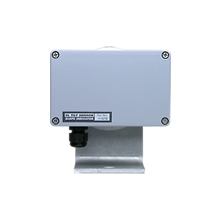 The MEMS Deep-Water Tiltmeter is fixed to the structure via a custom bracket that can welded to steel or bolted to an anchor that is epoxied into concrete or rock. Because the tiltmeter has a relatively wide range, careful zeroing of the sensor is not required. 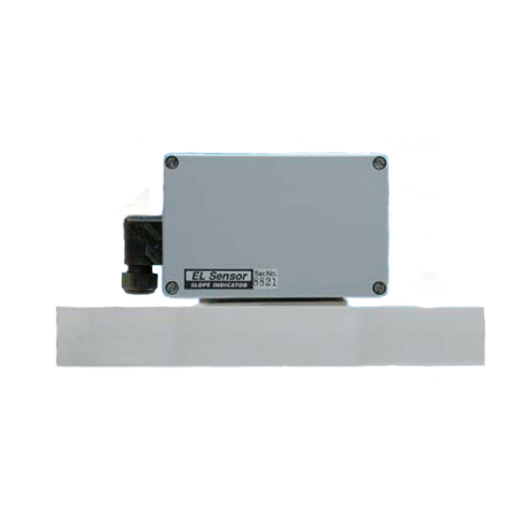 Tilt readings are obtained with a data logger or a portable readout. Readings are in volts and are converted to angles by applying conversion factors. Changes in tilt are found by comparing the current reading to the initial reading. Wide Range: The deep-water tiltmeter has a range of ±10°, so it can be installed without careful zeroing. Robust & Reliable: The tiltmeter has no moving parts and its brass housing is impervious to most water chemistry. Rated for High Pressure: The tiltmeter is pressure tested to 3.5 MPa of water pressure. 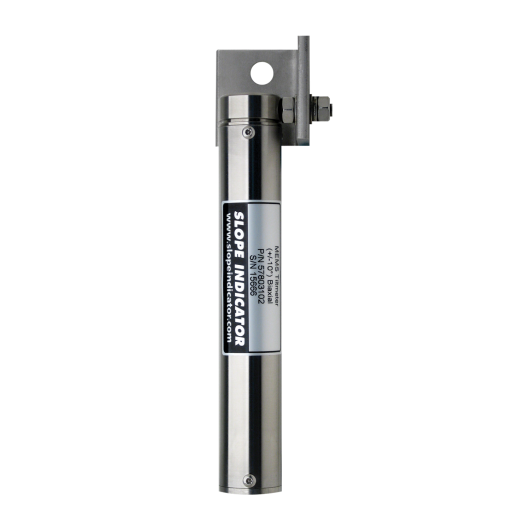 Ready for Data Logging: The deep-water tiltmeter can be connected to a data logger that monitors movement continuously and can trigger an alarm when threatening movements are detected. Please download the datasheet and manual for the MEMS Deep-Water Tiltmeter. These documents can be viewed and printed with Adobe Acrobat Reader. 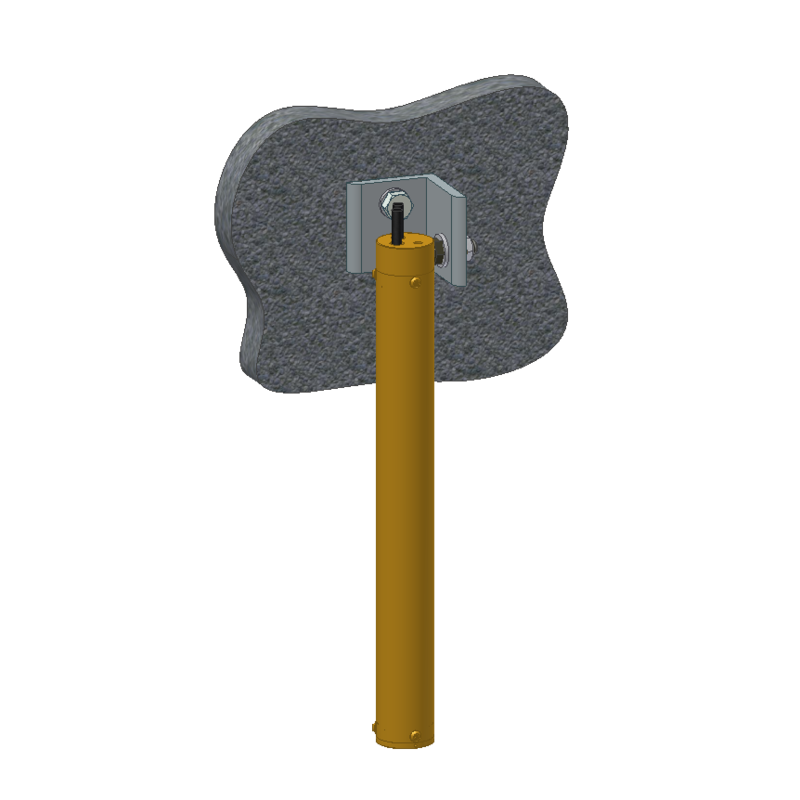 Anchors are used in concrete or rock. Order one anchor per tiltmeter. Expansion Anchor 57803128 Includes anchor, bolt, and washer. Install in 9.5 x 64 mm (3/8 x 2.5") drill hole.